The research presentations of SABR members has been collected and is presented here for your review. Click on any member to see and read their work. If you have a publication you would like to add, email Derby Gisclair. A look at the life of an often overlooked pitcher with one of baseball's great nicknames. What a way to end your baseball career -- a home run in your last at-bat! Pitchers leading in total wins for the decade and hitters with the most triples for the decade. An in-depth look at the effectiveness of the opening day starter versus the rest of the team's pitching staff during the season. The best-of-the-best, ranked by career extra base hits, as well as the top active extra base hitters. A bruising synopsis of prodigious plunkers and some surprising facts about these notable surly hurlers. Minnesota backstop and his place among major league baseball's elite hitting catchers. In 1947, the lanky right-hander nearly duplicated Johnny Van Der Meer's feat of back-to-back no-hitters. As featured in the April 2004 issue of Bleacher Creature. Looking at one of baseball's lesser known pitchers. An interesting analysis of pitchers with 100+ career wins, but who also had 100+ career losses. A brief look at the men who managed to achieve the “golden sombrero” during the Fall Classic. An update of the Arizona Diamondbacks and their remarkable turnaround from their dismal 2010 season. Only eight pairs of Hall of Fame players played their final regular season game on the same day and year. 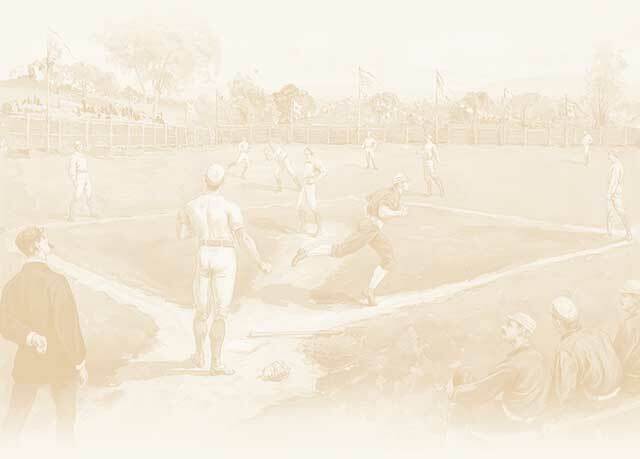 A collection of unusual and interesting baseball facts and achievements. Researcher Terry Cullen makes a case that Red Sox owner Harry Frazee let the Yankees get the better of him both before and after the Babe Ruth transaction. Copyright © 2004- by SABR New Orleans. All Rights Reserved.